- The location was incredibly good. Really next to many good places. - Staff was very friendly and helpful. Flat is very nice, comfortable and clean. There are everything for living. Beds are convenient. Air conditioner works very well. Location is very good: close to metro station, Vatican, Sent Angel castle, not so far to Navona square. 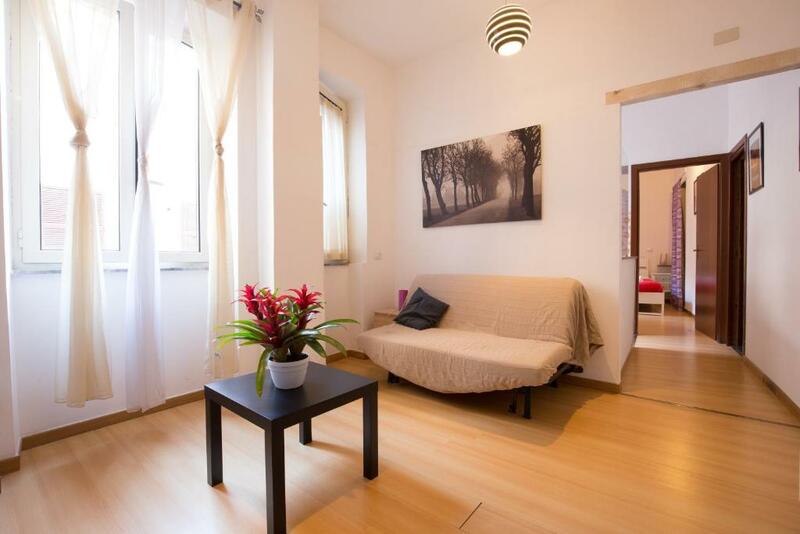 10-15 minutes walk to bus shattle stop from Fiumicino airport and shopping street Cola di Rienzo. Maybe it’s not Luxury Flat as it’s named but it was very comfortable flat. 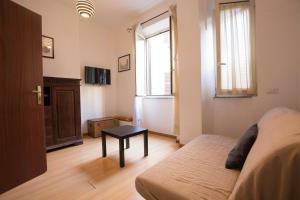 The Owner was very very sympathetic, kind, helpful and did everything to facilitate our stay in Rome. The flat has excellent location - 5-7 minutes to Vatican, and walking distance to most of the atractions of Rome. 30 meters from metro station. It was fantastic stay in Rome. I think I’ll come back to this Flat. the location was amazing, 8 minutes walk to St. Peter's square. we didn't spend much time in the apartment, but it was very clean and met all our expectation. I found very convenient the fact that right in front of the building there is a small terrace where we enjoyed breakfast and a cappuccino every morning. the subway station is 5 minutes walk from the apartment. Alfredo was very helpful and all in all it was a great experience. Location is undoubtfully great, close to everything. Flat is nice and private, very nice surrounding, claustrophobic (super cool) elevator and open roof with tremendous views. Very good for couples and those who wants to wander around in Roma. Photos are true to the place. Everything you need was there and in order. Bathroom clean and functional. Check-in smooth and easy. Very good location close to everything. The location is excelent. The building is too old, but it has a lift to 6o floor where the flat is. We spent 5 days in summer, só the AC was necessary and indispensable. The location was excellent. Loads of good restaurants nearby. Short walk into Vatican City. Location and good choice of restaurants nearby. It is also close to the tube station, which is handy. 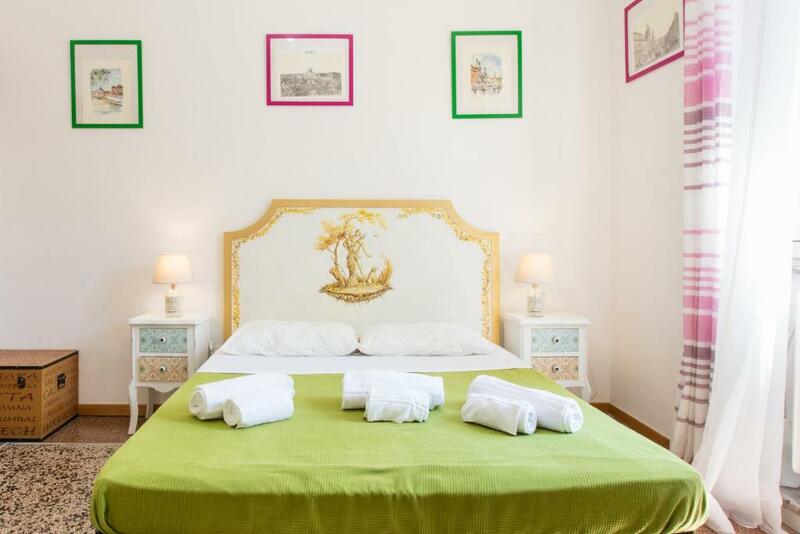 Lock in a great price for St. Peter Luxury Flat – rated 8.2 by recent guests! One of our best sellers in Rome! 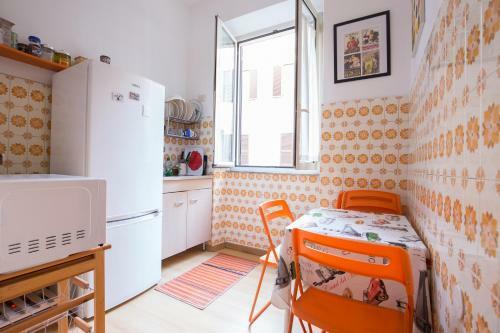 Located in Rome, St. Peter Luxury Flat provides accommodations with a flat-screen TV and a kitchen. Free WiFi is featured. All units come with an oven, microwave, a coffee machine, a toaster and electric tea pot. There's a seating and/or dining area in some units. St Peter's Square is 1.3 miles from St. Peter Luxury Flat, while Castel Sant'Angelo is 1.6 miles away. The nearest airport is Ciampino Airport, 12 miles from the accommodation. 뀐 Located in the real heart of Rome, this property has an excellent location score of 9.3! When would you like to stay at St. Peter Luxury Flat? This apartment has a microwave, air conditioning and electric kettle. House Rules St. Peter Luxury Flat takes special requests – add in the next step! Please note that late check-in from 21:00 until 00:00 costs EUR 30. After this time, a surcharge of EUR 50 applies. All requests for late arrival are subject to confirmation by the property. Please inform St. Peter Luxury Flat of your expected arrival time in advance. You can use the Special Requests box when booking, or contact the property directly using the contact details in your confirmation. Kitchen was poorly equipped. No privacy as the bathroom of next door flat was next to our bedroom. - The pictures does not reflect reality. The apartment is much smaller, darker and older then the pics show. - The bedroom heater was not working (but since the apartment is small, the kitchen/dinner room/living roon (yeah, they are all the same place) heater was able to heat the apartment. There wasn’t kettle in the kitchen to boil a water but I said about it the owner and the next day in the morning the problem was solved. I think not to complain but to talk and report to owner and everything is done! The apartment is not luxury at all!!!!! There is mould everywhere in the place and the bathroom floods. We explain that to Alfredo, which was very nice,friendly and promptly, but it seems we lacked on communication skills and understanding. There was only half toilet roll and we had to buy more. The standard of cleaness is also questionable, as the place was (specially the bathroom) was extremely dirty. If you are going to book this place because of "luxury", you better off in a hostel. Perhaps due to the fact that we've rented in Nov, the flat was a little bit.. used. Cleaned, but could use some refreshment, buying new cups etc. Nevertheless we've spend very nice time there and will certainly consider coming back. First of all, the photos of the flat does not reflect the reality. 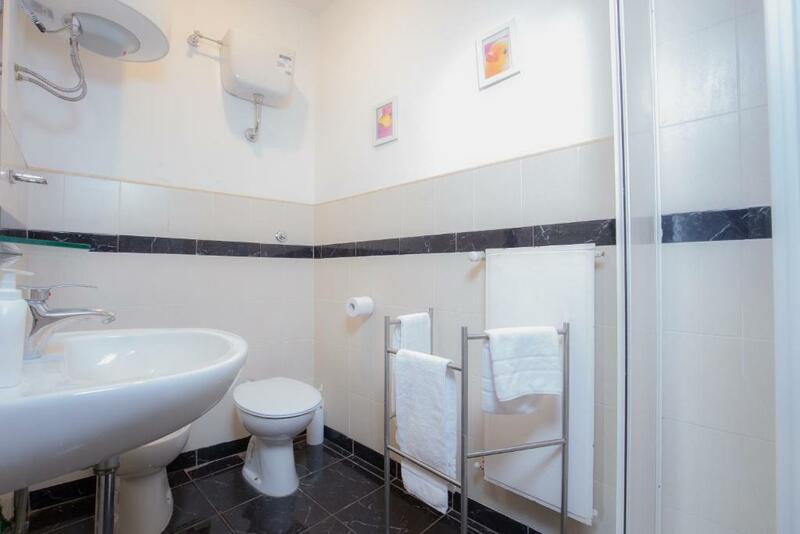 Mixed with the true photos, there are photos of another flats, much more beautiful, newer and cleaner than ours. The room is small, the cabinet is old, there was only one bed sheet and no blanket. The only thing Beyond the sheet was a kind of a foam blanket that was terrible to me since im alergic. The bathroom is a nightmare! The bath cabin was broken, the sliding doors falls every time we take a bath. The shower was also broken, you have to take a shower holding it in your hand. The host was great and gave us good advice. Everything was smooth and well-organised. The location is great, Vatican museums just around the corner. It was possible to sleep with open window, it was so quiet during the night.